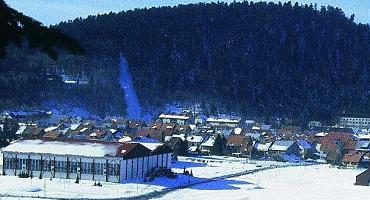 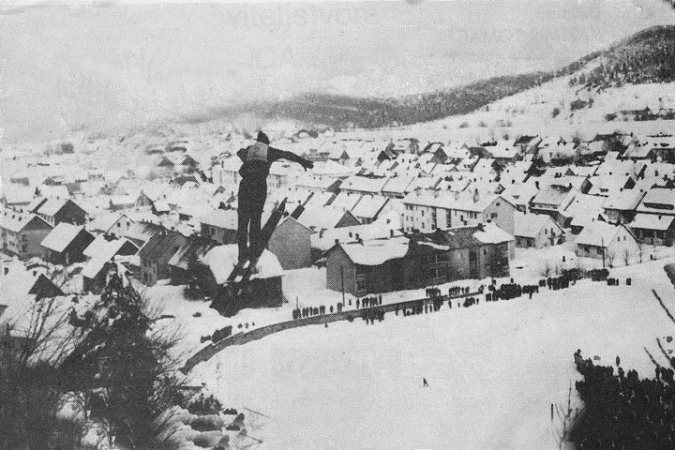 First ski jump in Delnice were opened in 1904. 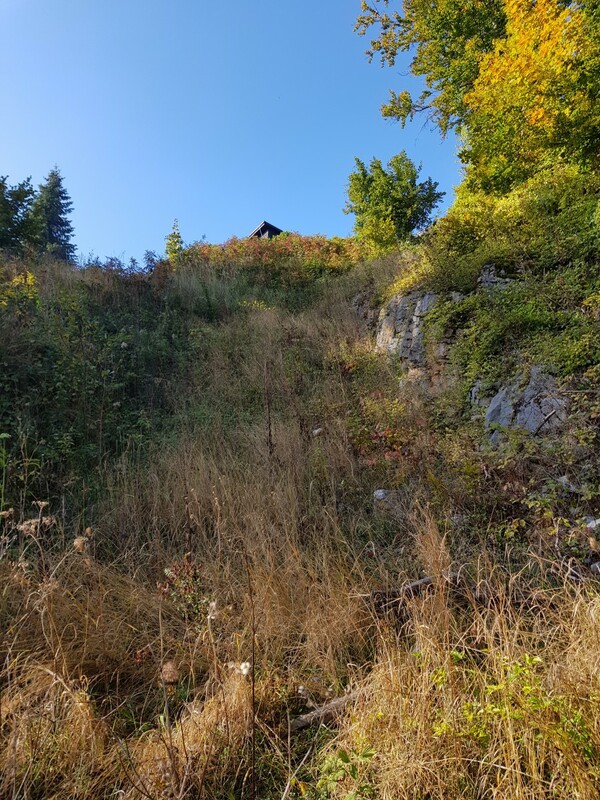 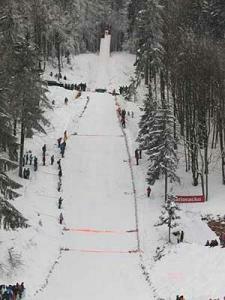 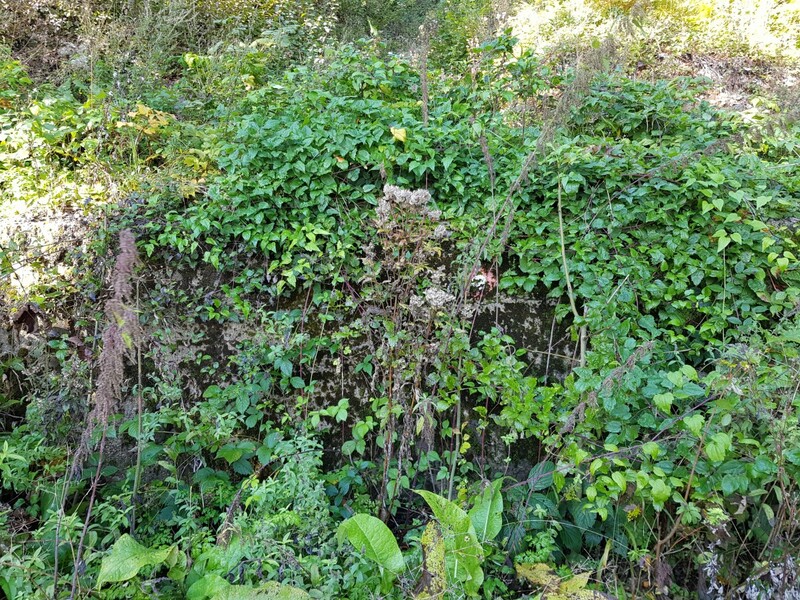 Small hill, which was one of the first in that part of Europe, allowed to jump over 10 metres. 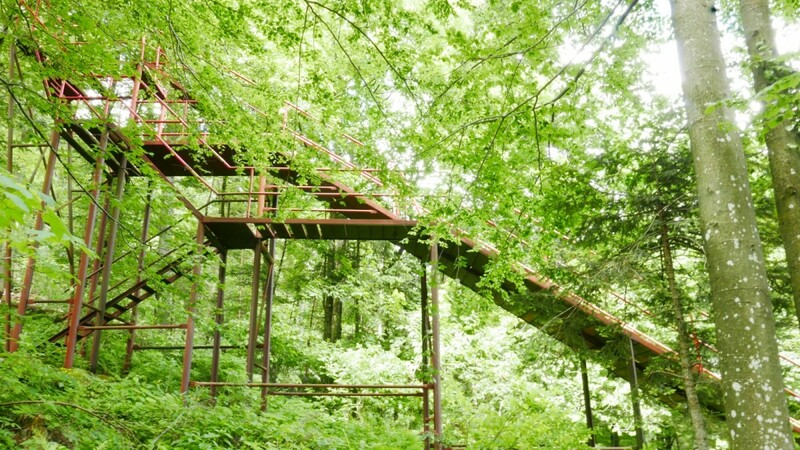 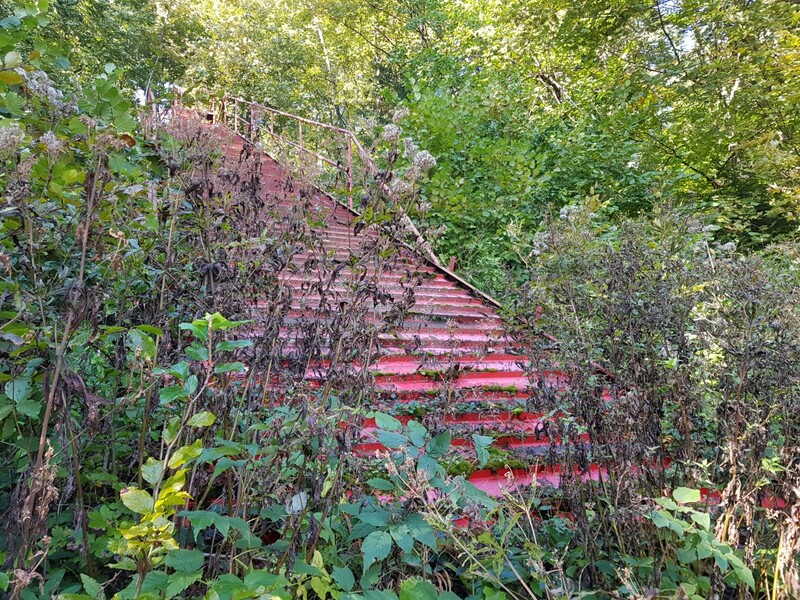 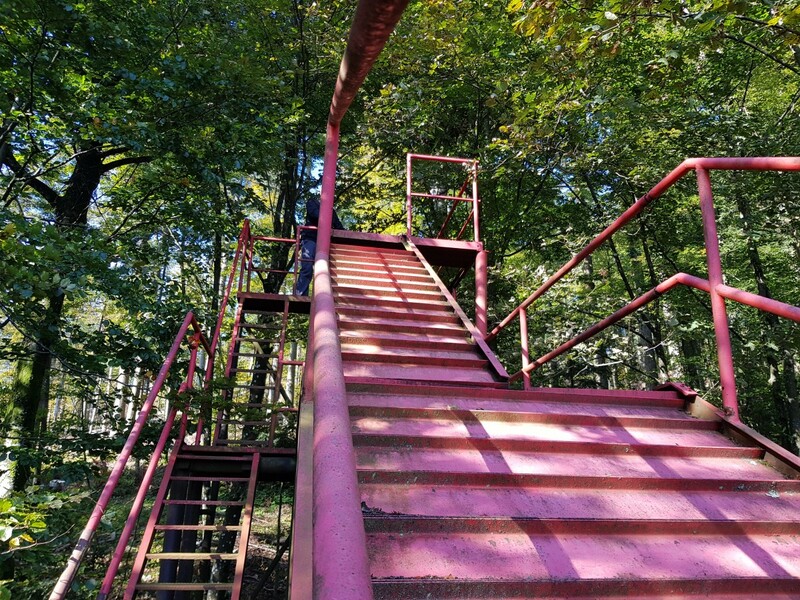 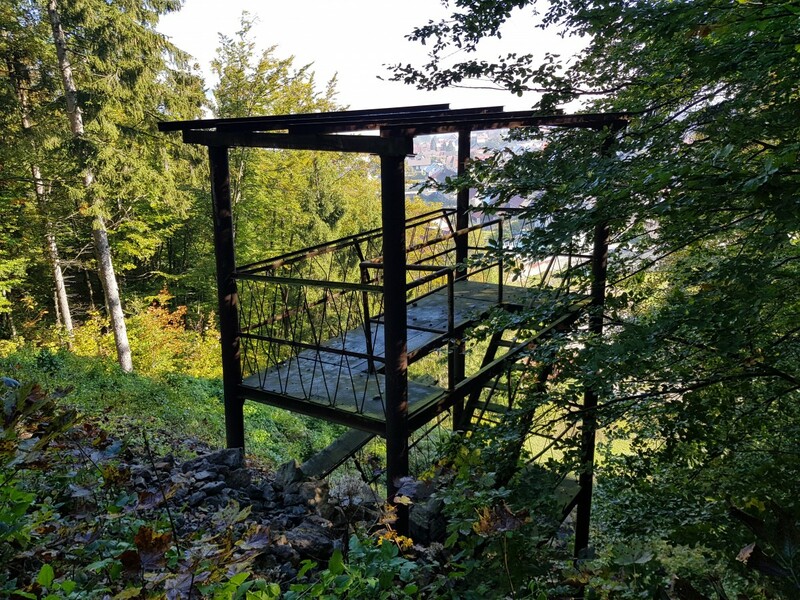 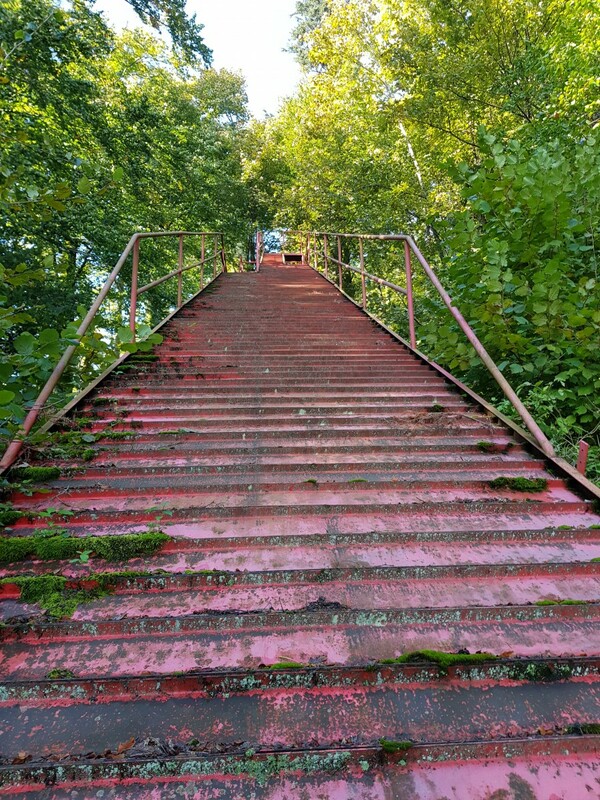 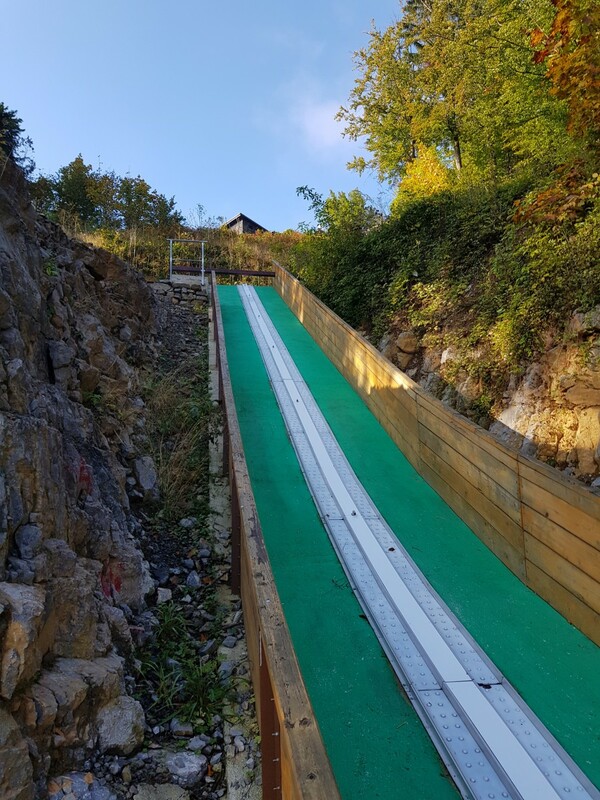 Ski jump was built from wood and old building materials was opened by local skiers - Jakov Kezele and Josip Šnajdar - they were first ones to jump from it. 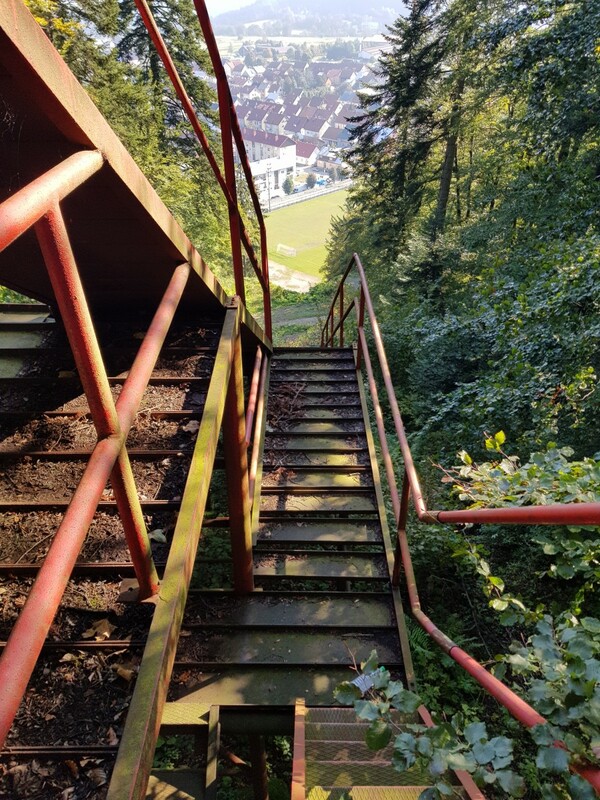 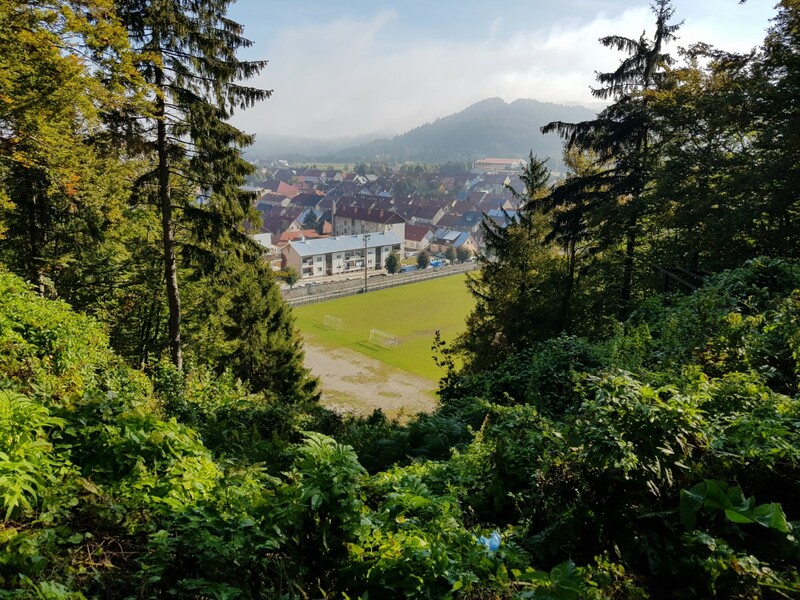 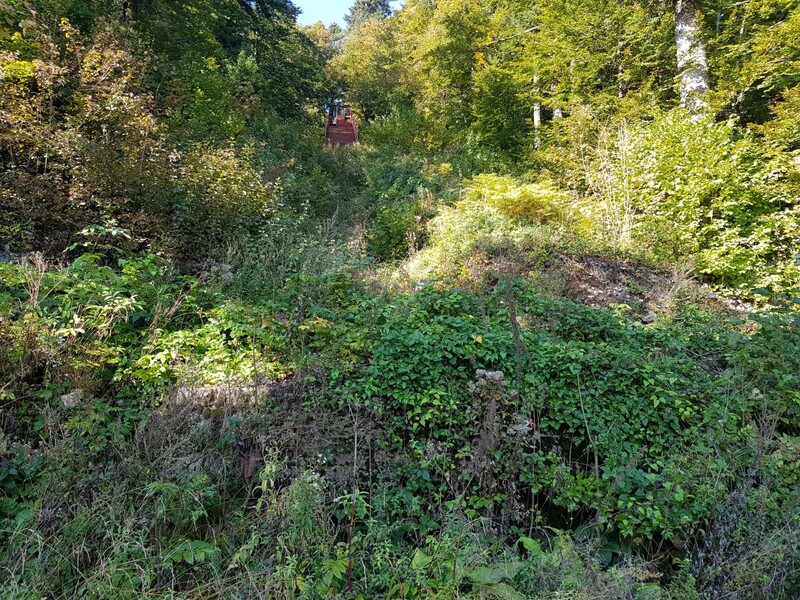 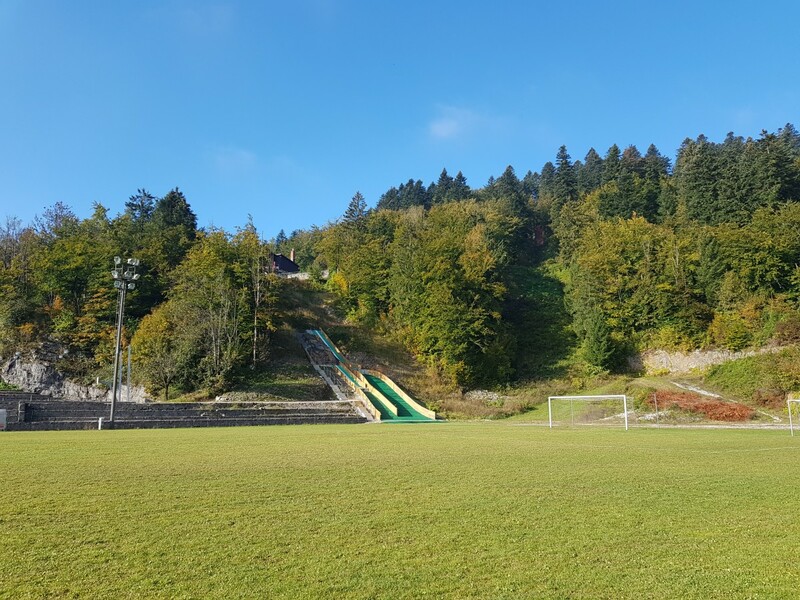 Construction of bigger ski jumping hill at Delnice in former Yugoslavia started in 1932 but hill at Vučnik was opened just 3 years later because of lack of snow during that time. 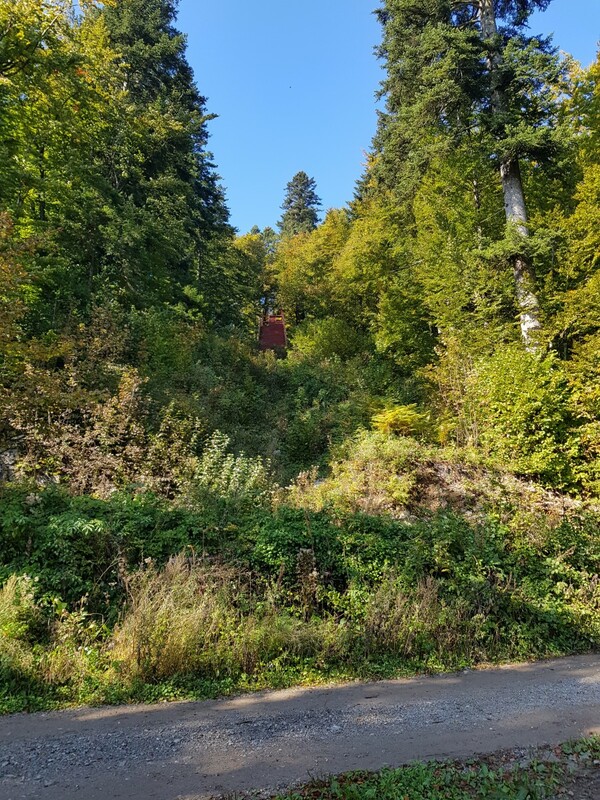 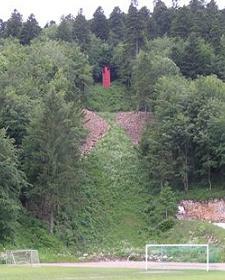 In 1947 local hero and best Croatian ski jumper of all-time - Josip Šporer jumped here 36 metres which was a hill record. 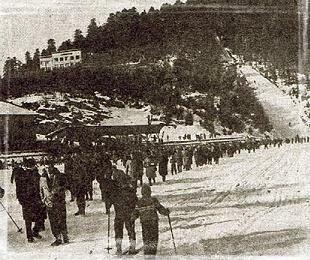 Record was never broken because few weeks later hill were closed due to problems with wooden construction of inrun and than demolished. 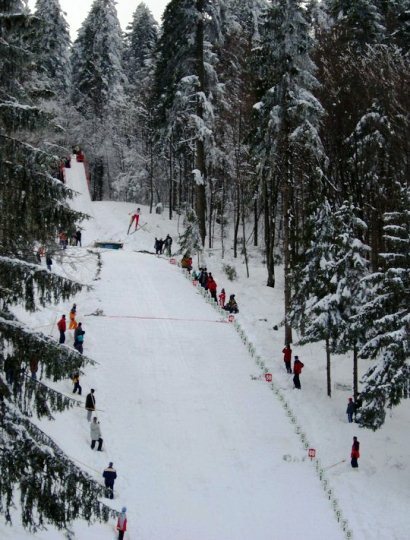 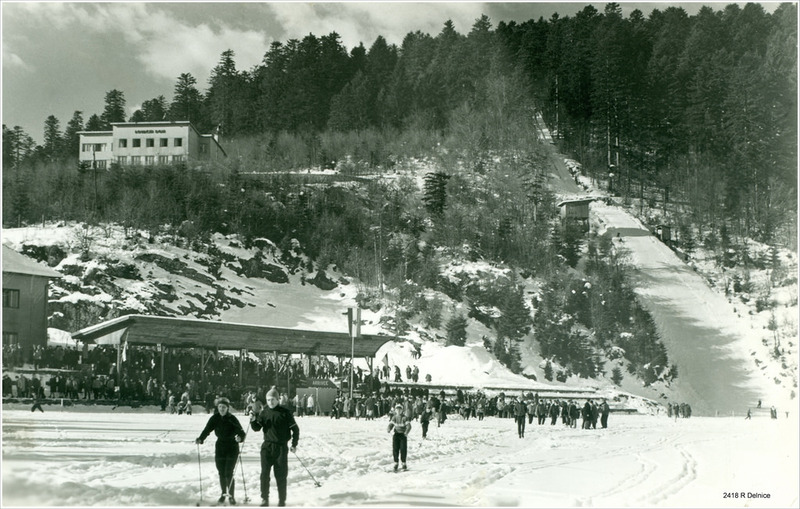 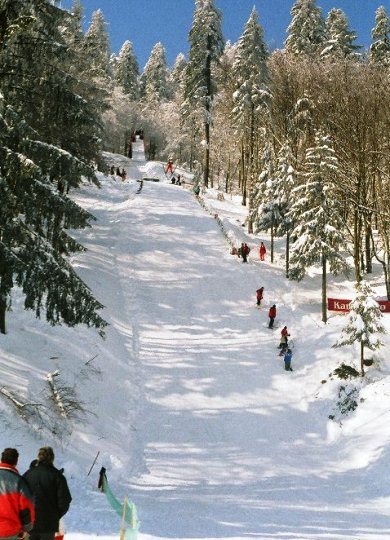 On March 7, 1948 the new K45 hill at Japlensky Vrh was inaugurated in front of more than 2000 spectators. 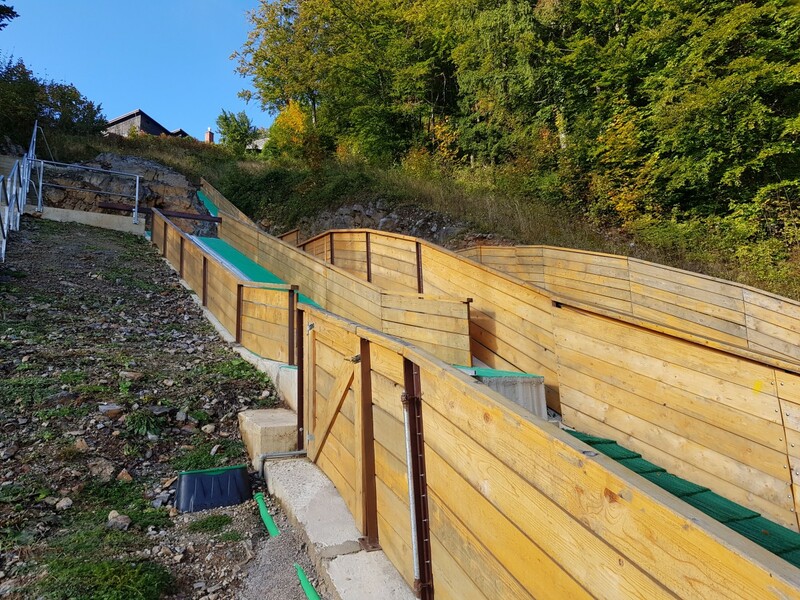 The famous ski jumping hill architect Stanko Bloudek, who also built the Velikanka at Planica, was responsible for the construction. 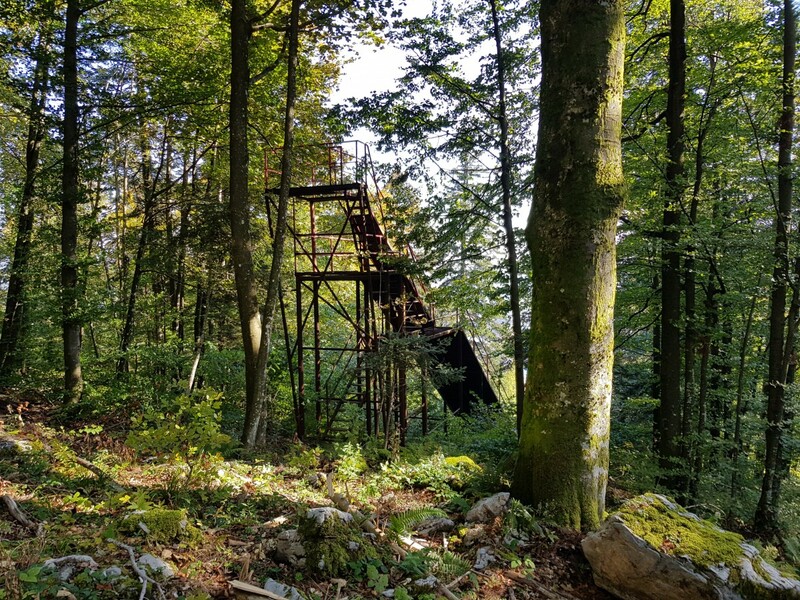 During 1950s local girl - Katica Šporer-Tošić was allowed to jump there and achieved distance of 28 metres which is still a Croatian record for women. 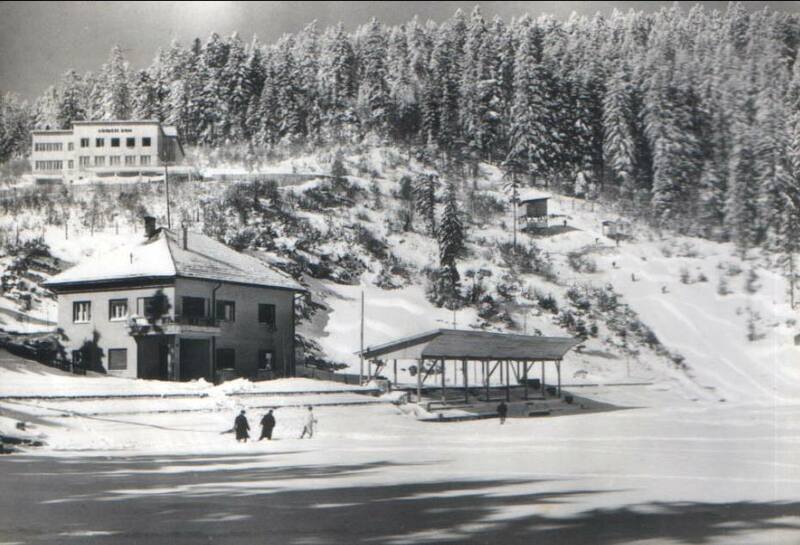 Also in 1954 Yugoslavian Championships, won by Janez Polda were organized here. 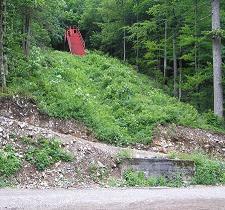 Hill at Japlensky Vrh were enlarged two times - in 1958 to K60 and in 1966 to K75. 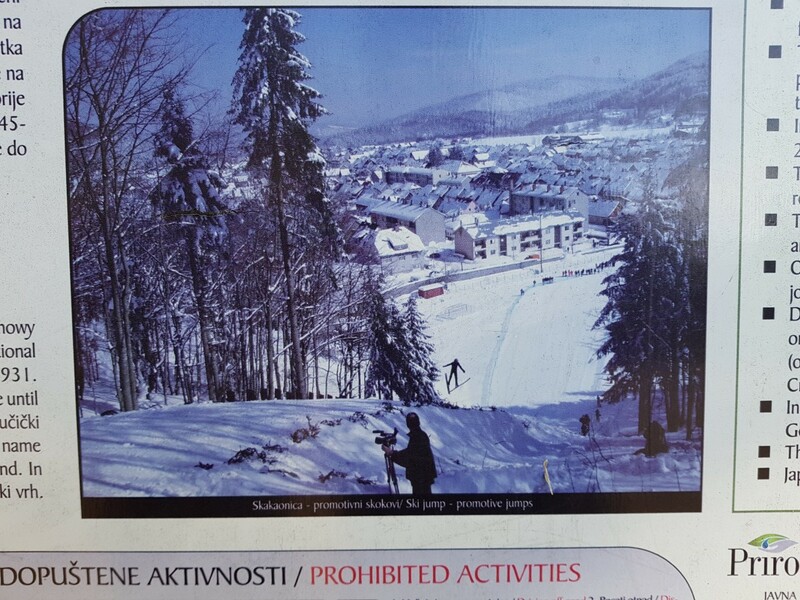 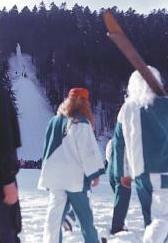 Last official competition - Yugoslavian Junior Championships were organized in winter 1981. 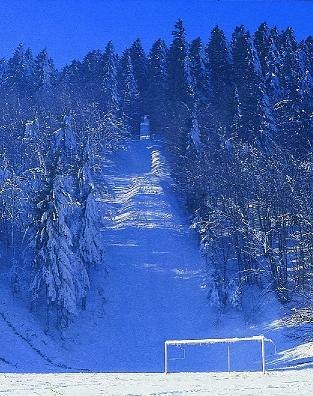 Next winters were snowless and hill wasn't reanimated. 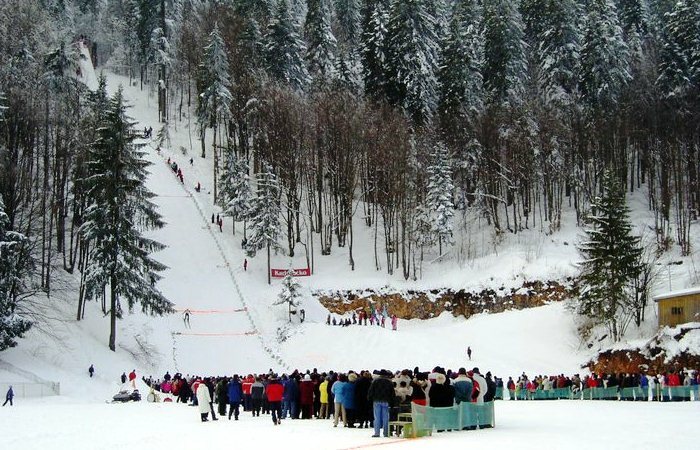 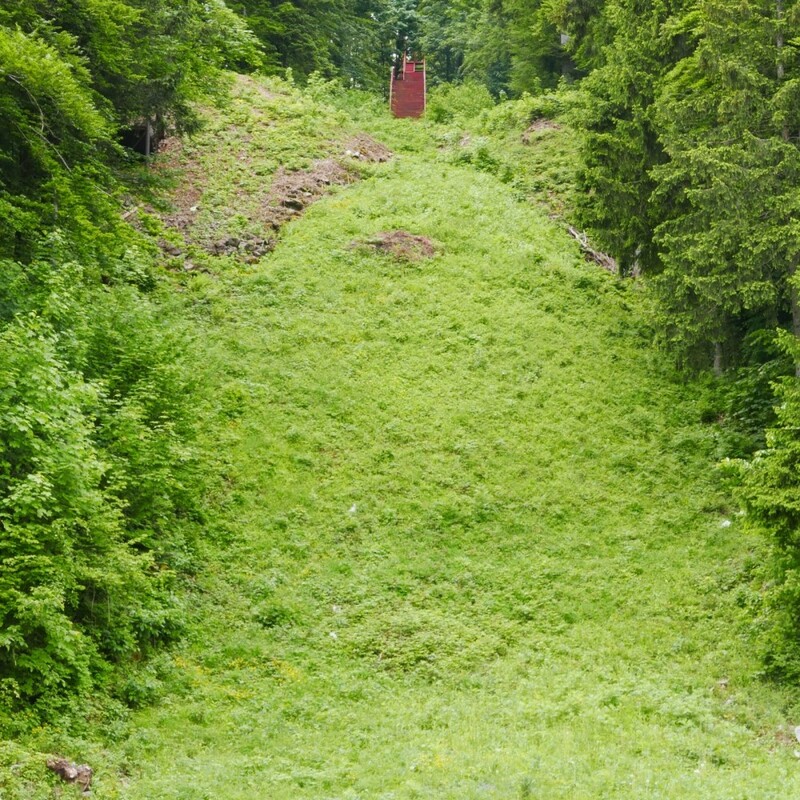 But on March 1, 2006 the ski club of Ljubno in Slovenia organized a competition there which reanimated this ski jumping hill. 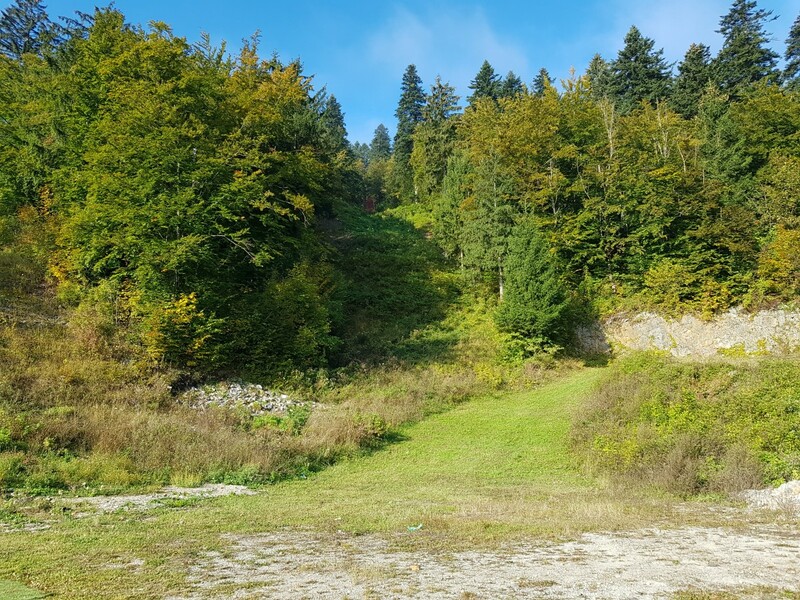 Nearly 5,000 spectators came to the hill in order to watch young jumpers from which two improved the over 30 year old hill record. 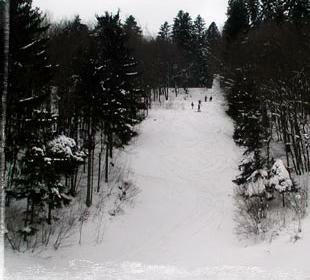 There is also a smaller hill which is used by the carnival clubs of the city for a yearly held carnival competition. 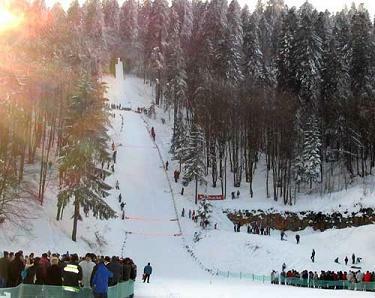 The jumping hills’s stadium is used for cultural activities, too. 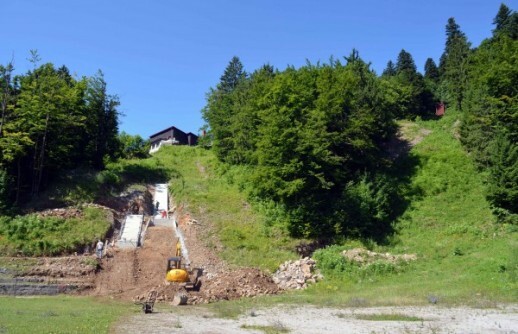 In 2008 the construction of three plastic covered hills K30, K15 and K8 has started, but not finished. 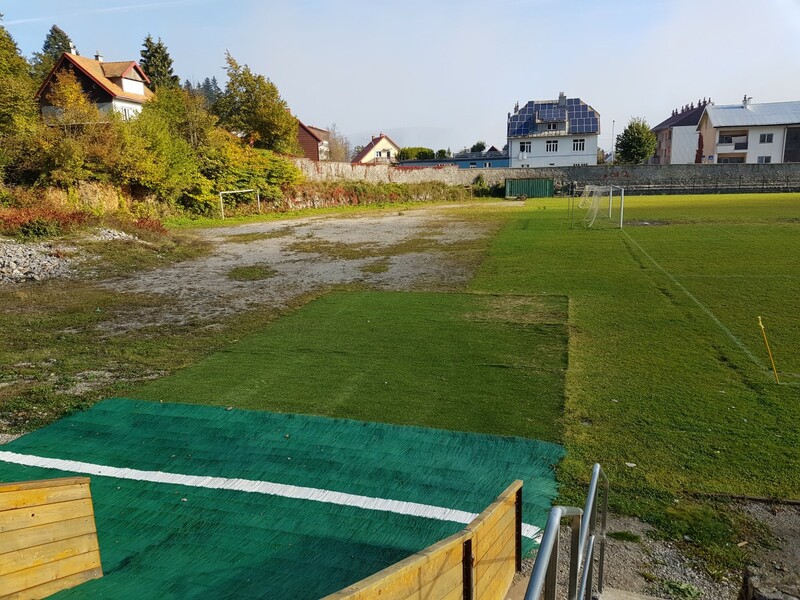 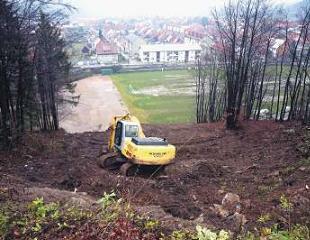 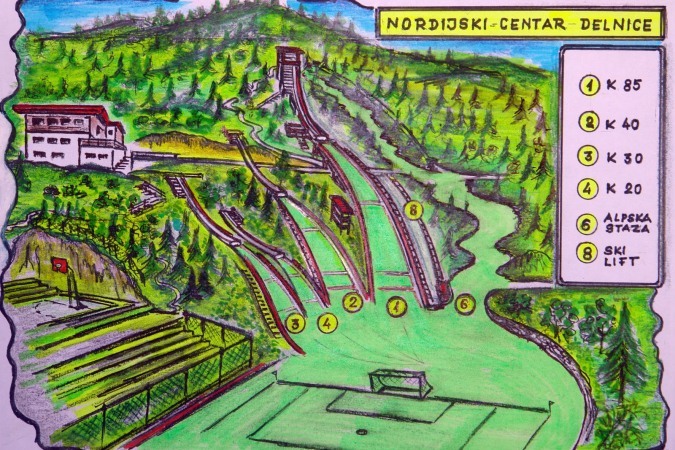 The extension of the ski jumping facility to "Nordijski centar Delnice" was resumed in 2012 but stopped later. 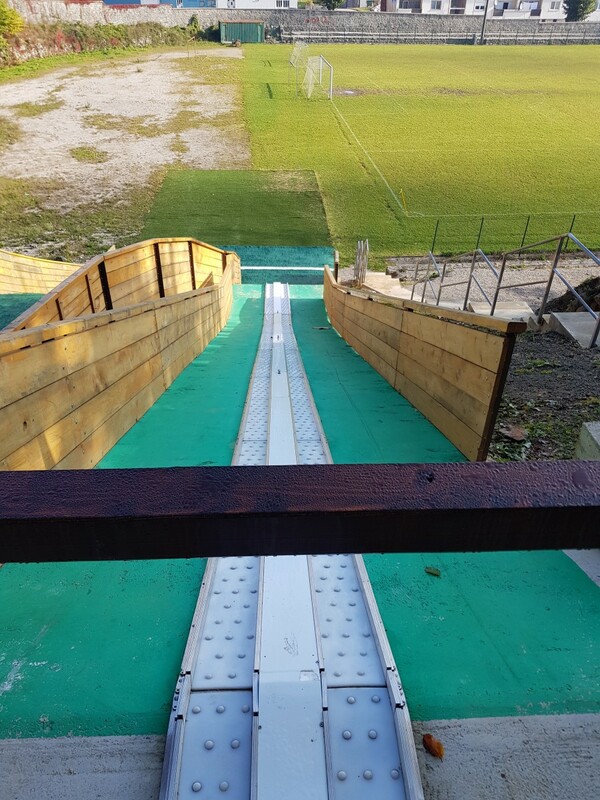 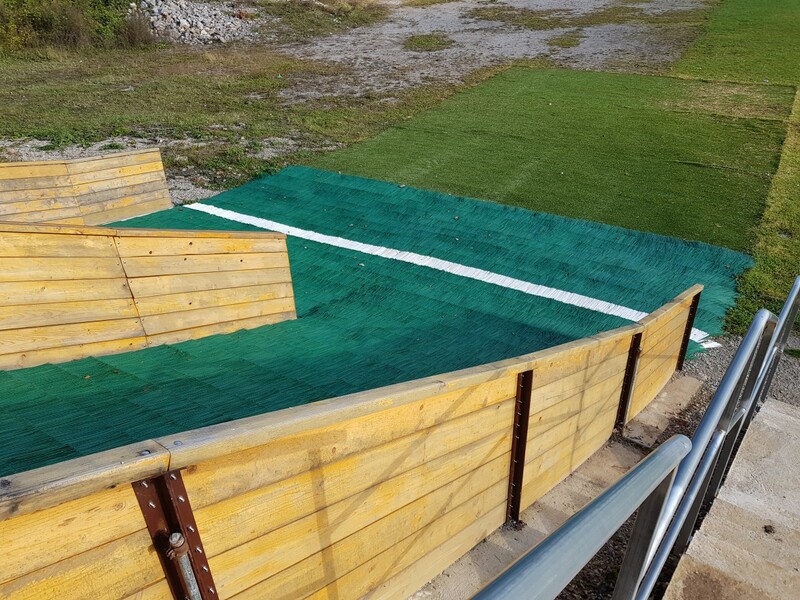 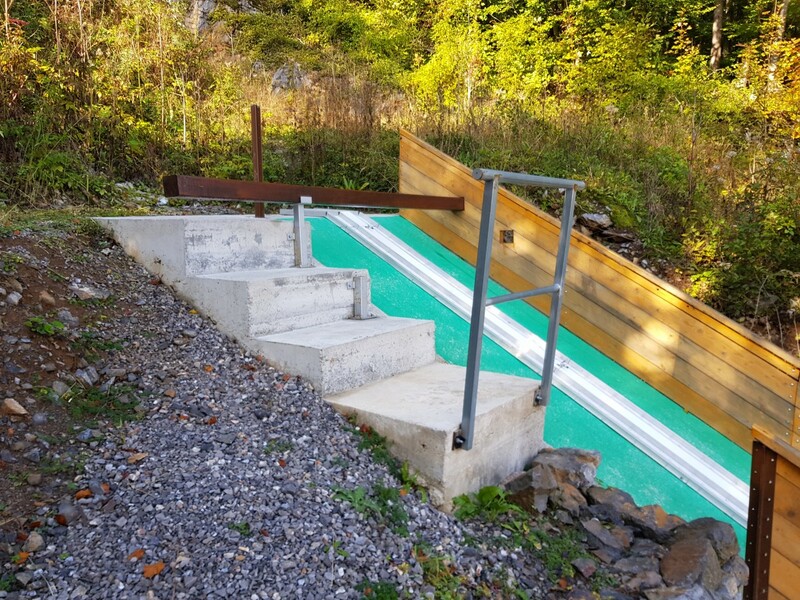 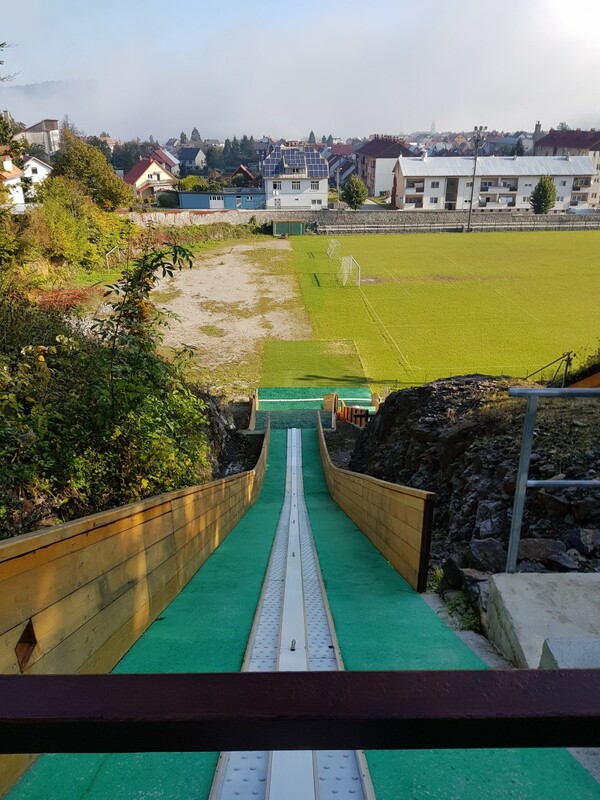 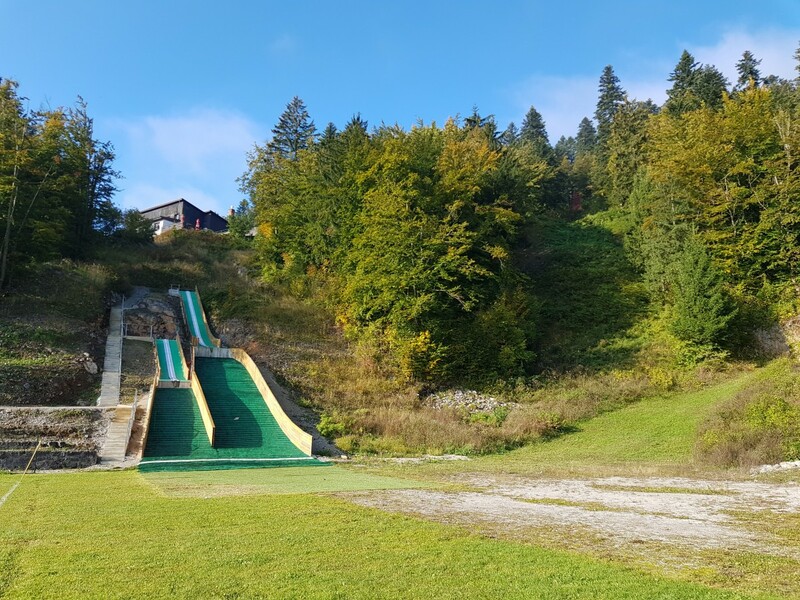 Finally K8 and K15 ski jumps with plastic mattings were opened in 2017. 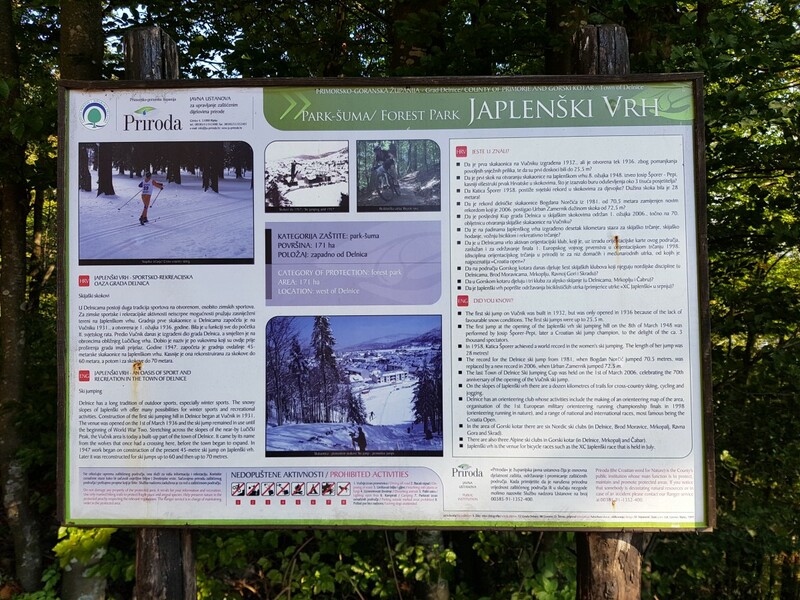 They are the only ones used nowadays in whole Croatia! 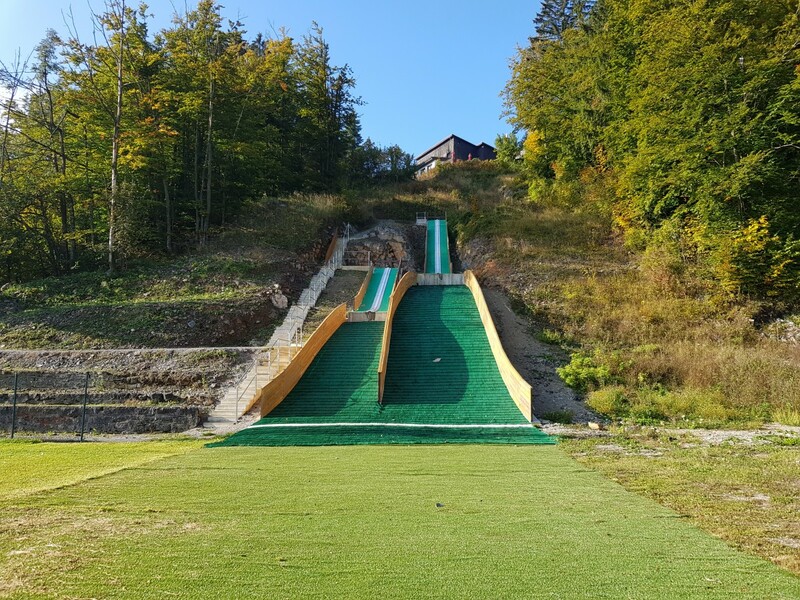 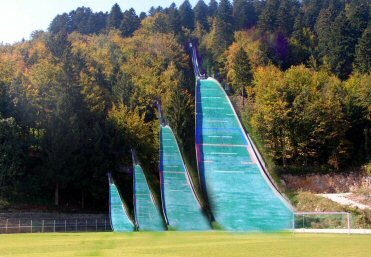 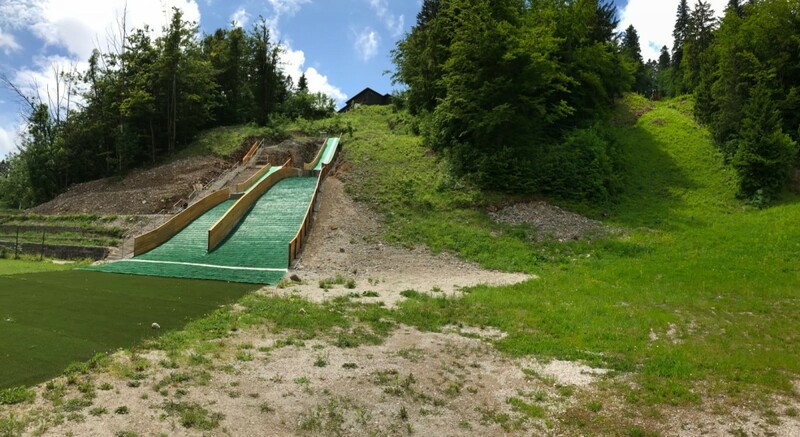 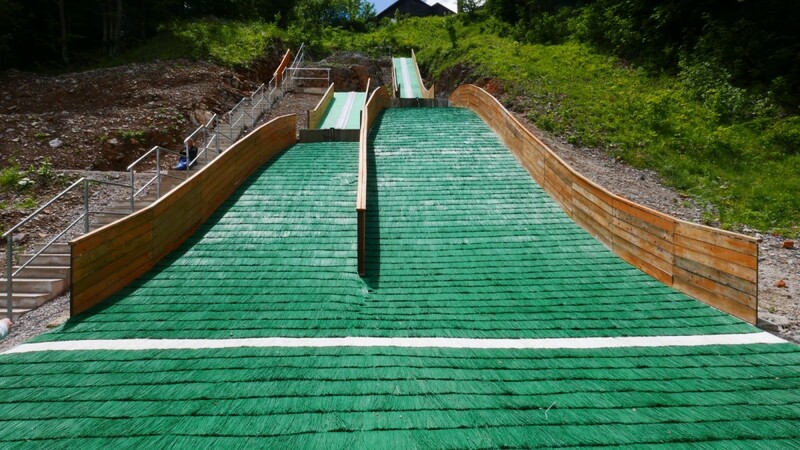 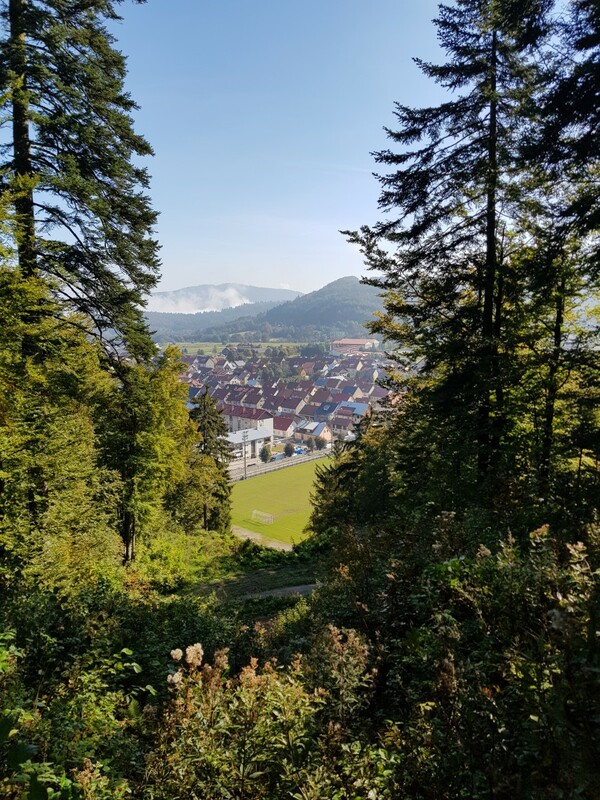 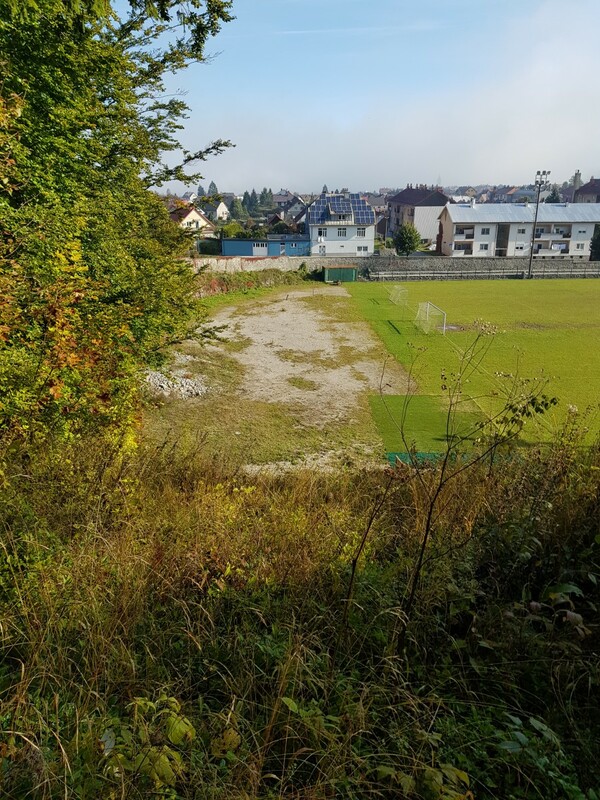 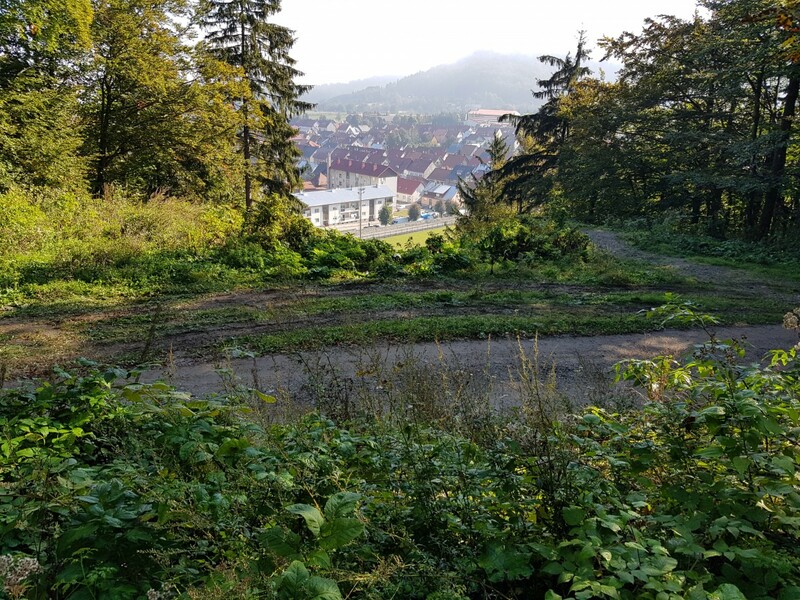 Also K30 and K40 hills shall be build in a future and the biggest, still existing, but not used ski jumping hill shall be modernized and enlarged onto K85. 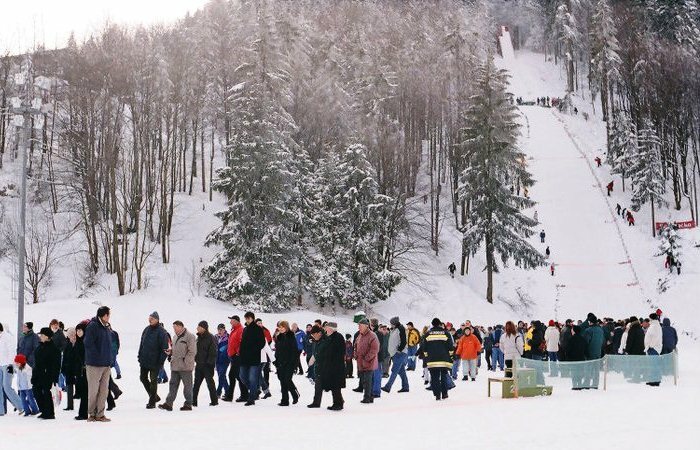 Zamernik w momencie ustanawiania rekordu miał jedynie obywatelstwo słoweńskie, chorwackie dostał dopiero parę miesięcy później. 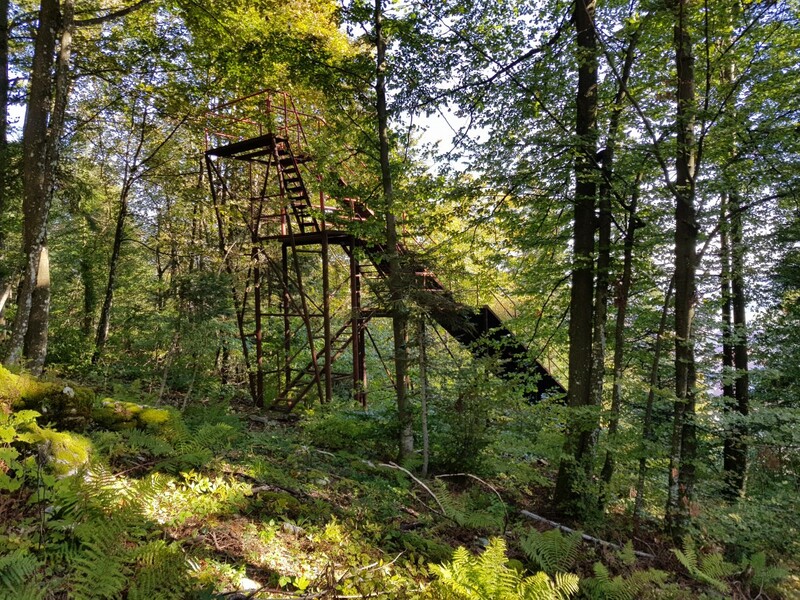 Naszło mnie, żeby dzisiaj trochę poszperać, więc jeszcze parę linków. 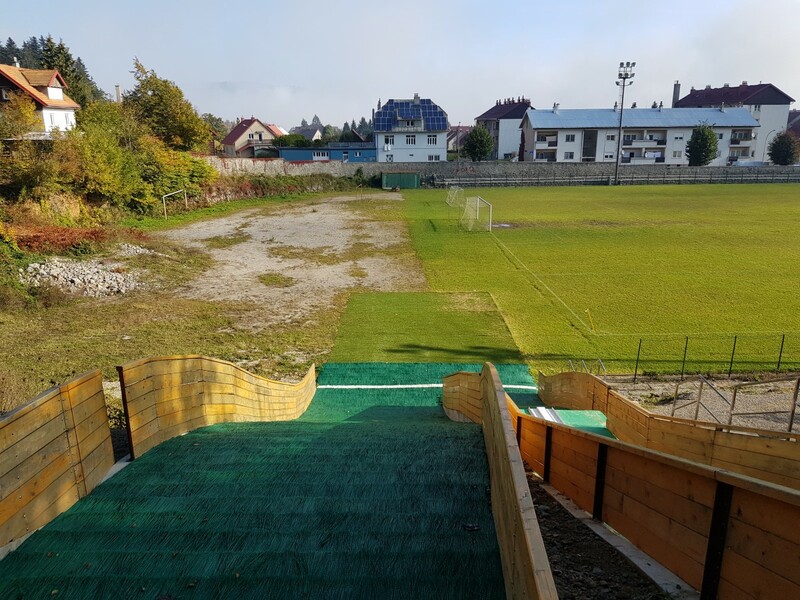 Dalej - prawidłowo nazwa tej skoczni to Japlenški vrh. 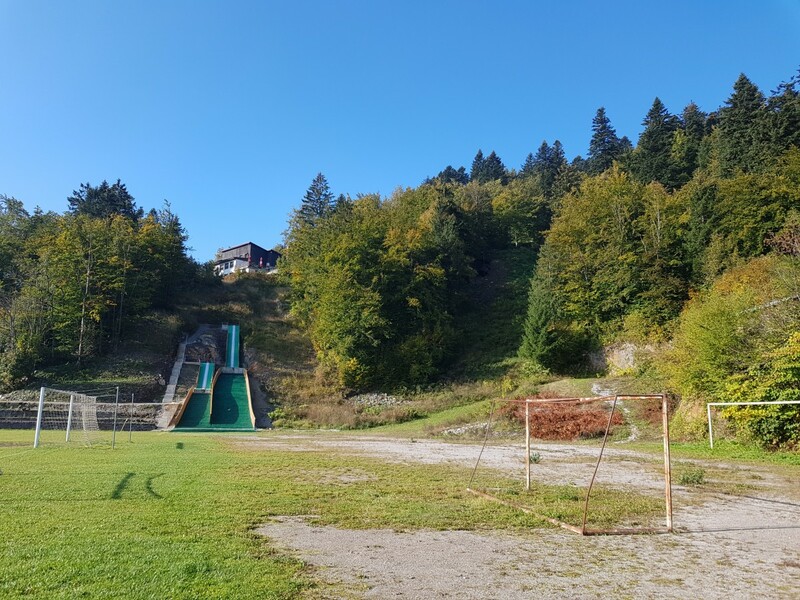 Was ist mit den drei Jugendmattenschanzen? 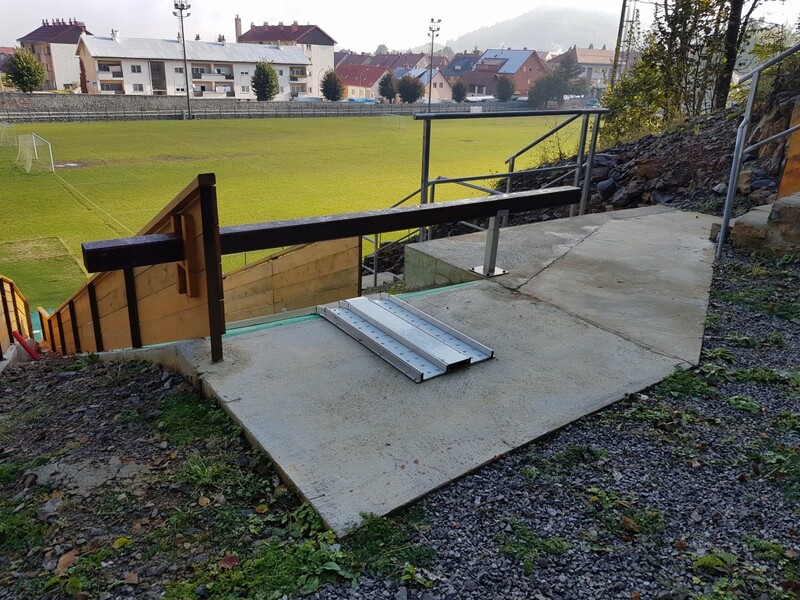 Sind sie fertiggestellt worden? 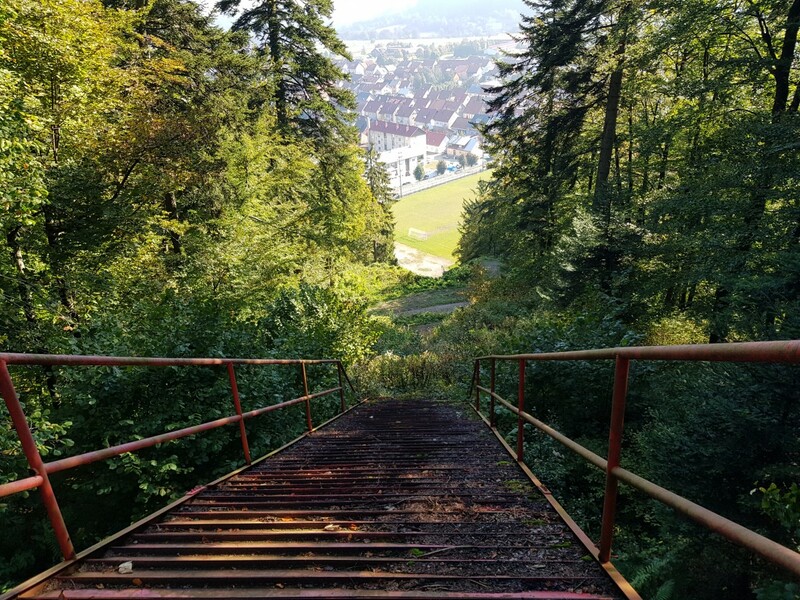 Und wenn was wird dann aus der K30 und der K25.